There were a number of support tests, but the clearest belonged to the Russell 2000. 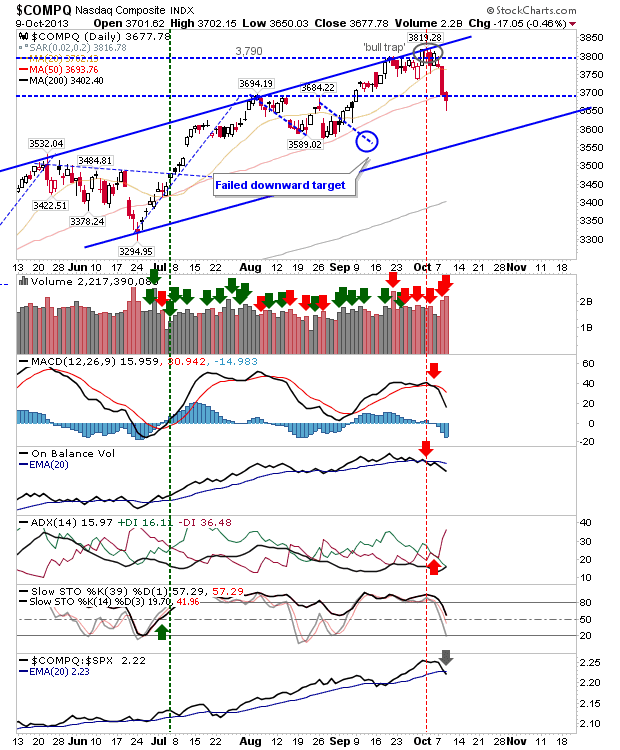 The index made a picture perfect bounce off channel support, although the subsequent recovery didn't quite make it back to the 50-day MA. Technicals are just shy of a net bearish turn, but there is still time for this tomorrow despite today's gains. 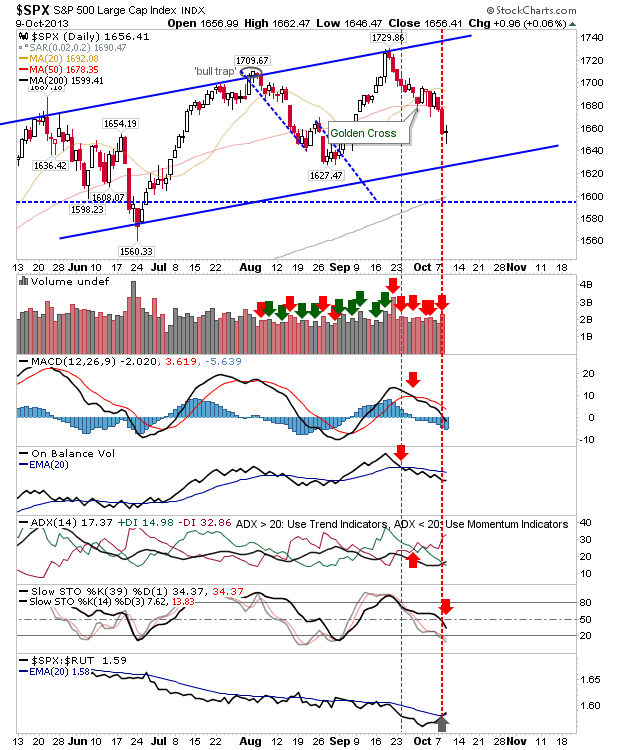 Watch for another down day which remains above channel support but below Wednesday's close. 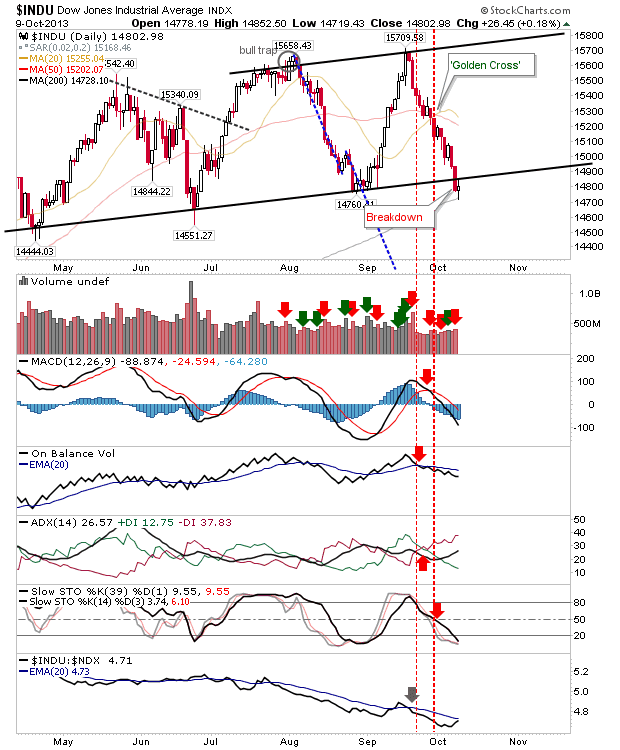 The Dow Jones Industrial Average also found support at its 200-day MA. However, the resulting bounce didn't do enough to regain the slow ascending channel. Should it manage to do so tomorrow it will create a 'bear trap'. The S&P is caught in a bit of a no-mans land. 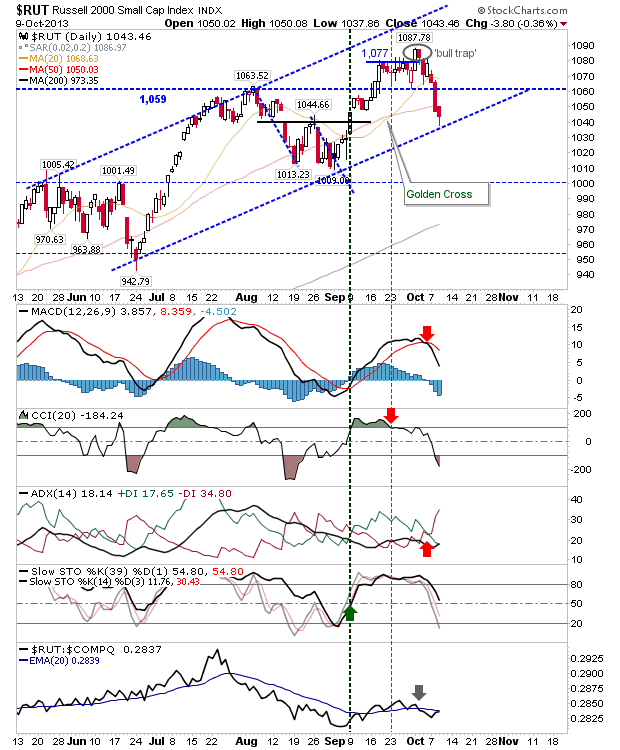 Today's doji points to indecision after a series of losses. Volume climbed to register distribution, and there was a significant relative shift in favour of the S&P over the Russell 2000. There is no clear trade here. The Nasdaq finished too close to its 50-day MA on Tuesday to mount a strong defense of this moving average. Volume surged for a second day in a row in yet another confirmed distribution day. Channel support is some distance away, although a return above the 50-day MA will offer a decent long side opportunity. 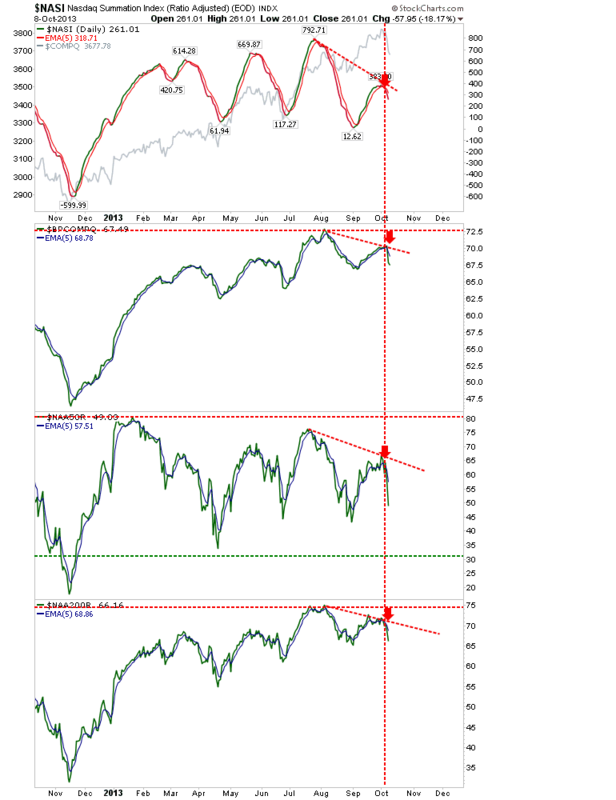 However, Nasdaq Breadth is net bearish, and supports significant bearish divergences. There might be more to this decline than has been experienced so far. For tomorrow, bulls can look to the Russell 2000 and perhaps the Dow. If the Nasdaq can regain its 50-day MA it too will offer an upside play. Shorts don't really have enough to work with and are best to wait for the next tests of 20-day MAs.